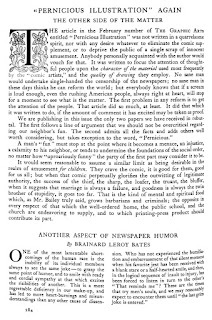 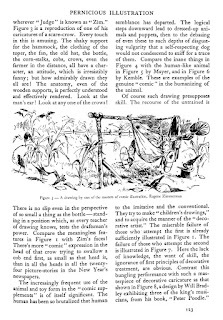 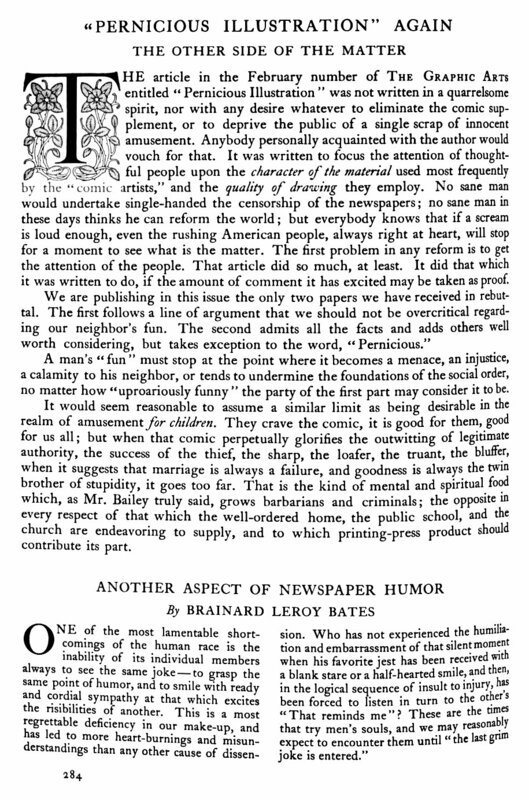 HENRY TURNER BAILEY in 1911 started a brief discussion with his 5-page article Pernicious Illustration in a brand new monthly trade magazine, The Graphic Arts (subtitle: ‘for Printers and Users of Printing’). 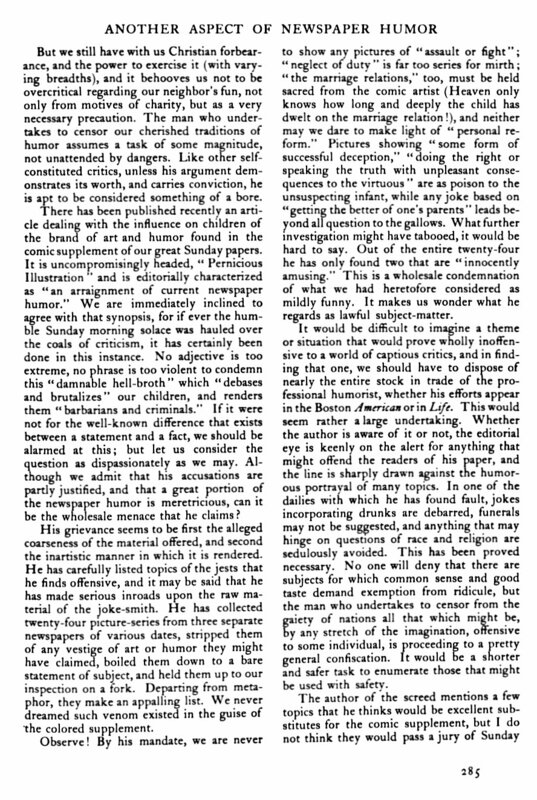 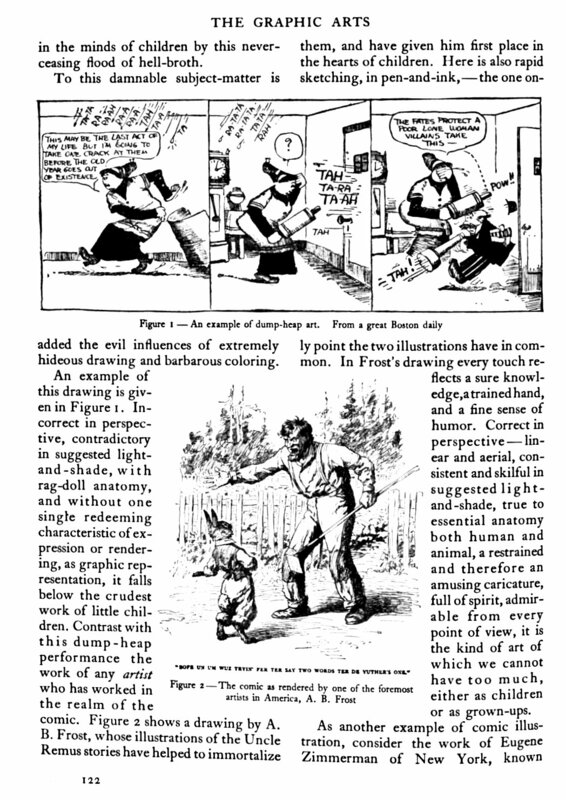 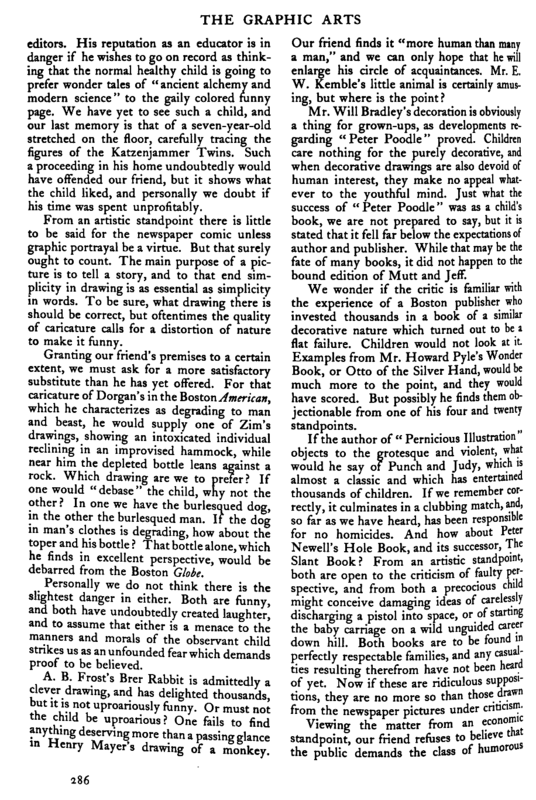 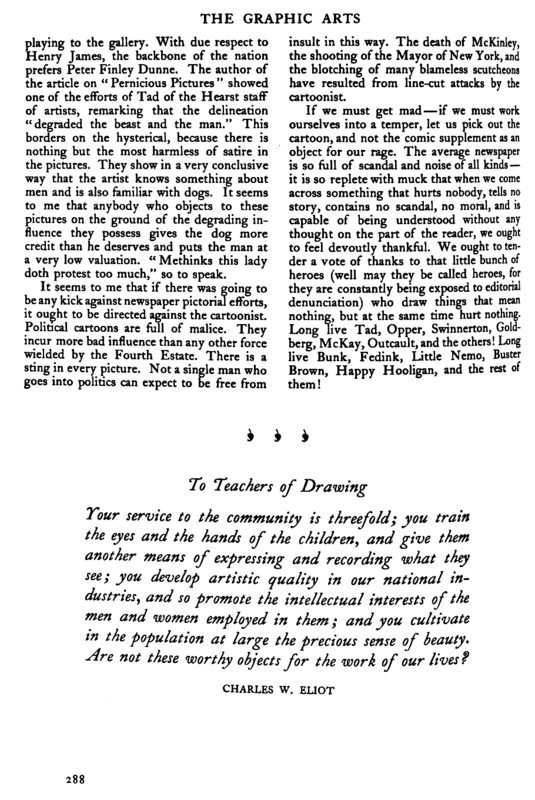 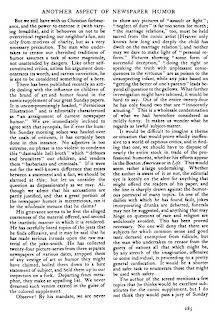 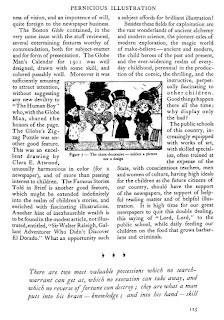 Comments of two other authors followed in a later issue, under the general header “Pernicious Illustration” Again; The Other Side of the Matter. 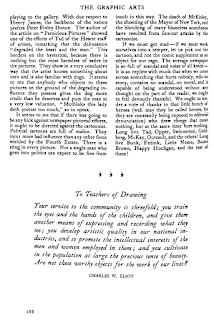 Below are the pages 121-125 and 284-288 with all three articles, taken from The Graphic Arts, Vol. 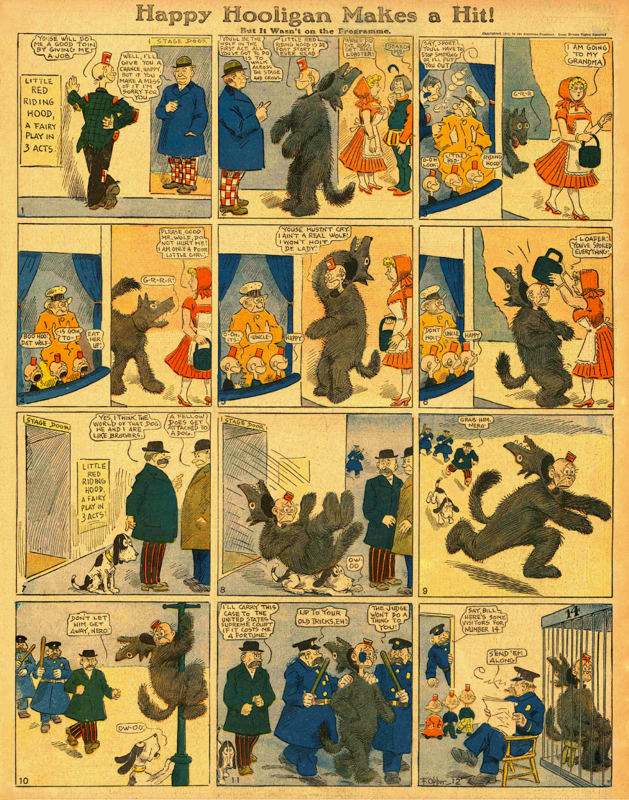 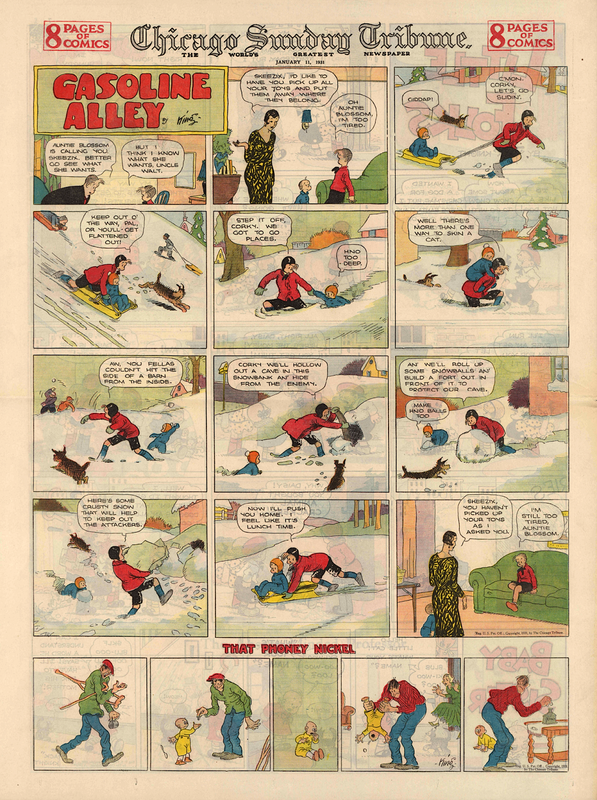 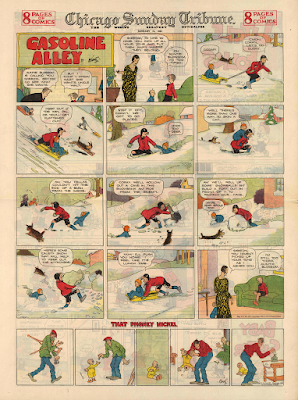 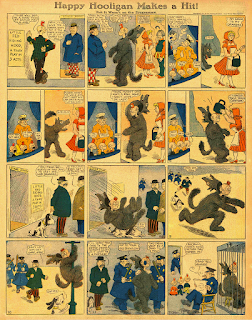 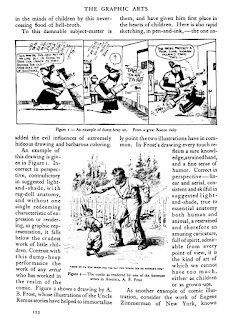 I, January-June 1911, National Arts Publishing Company, Boston, MA. 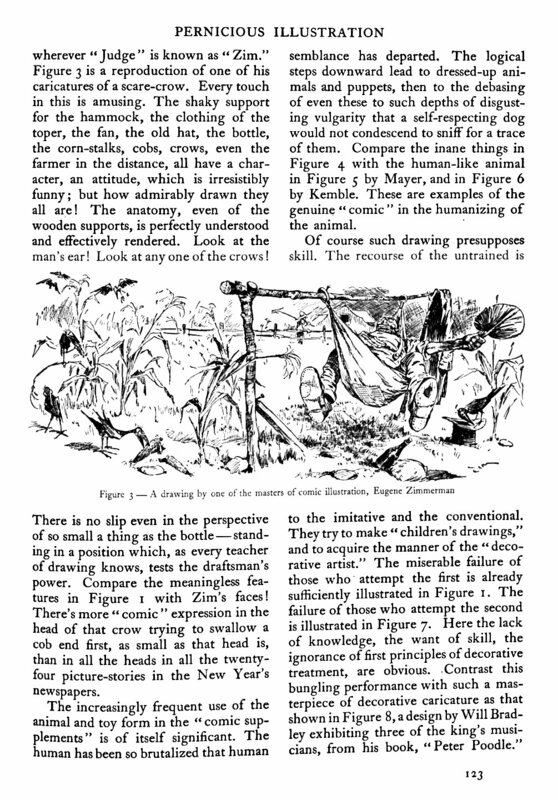 Pernicious Illustration by Henry Turner Bailey. 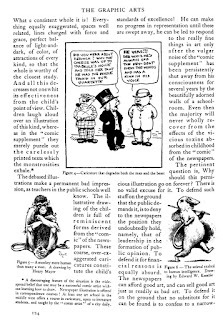 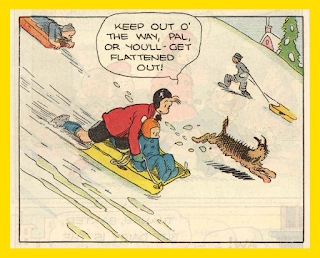 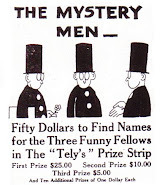 Another Aspect of Newspaper Humor by Brainard Leroy Bates. 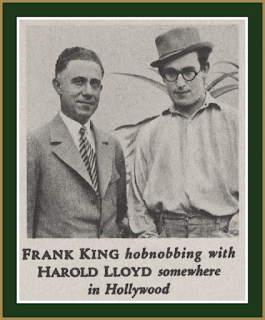 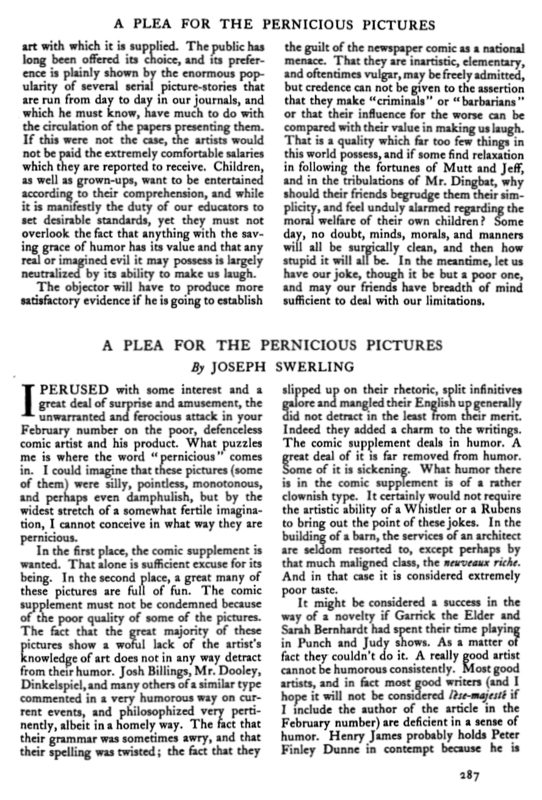 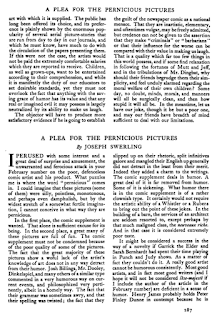 A Plea for the Pernicious Pictures by Joseph Swerling. 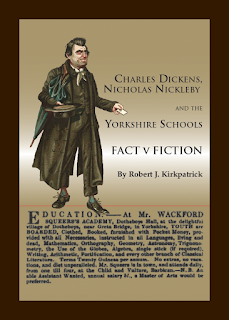 ★ Charles Dickens, Nicholas Nickleby and the Yorkshire Schools; Fact v Fiction, is a new book by Yesterday’s Papers contributor, Robert J. Kirkpatrick. 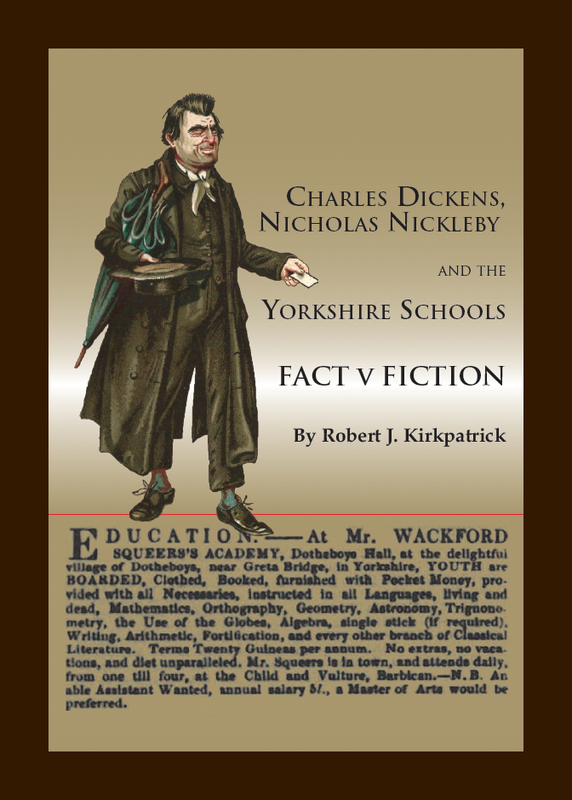 IN 1838, in The Life and Adventures of Nicholas Nickleby, Charles Dickens set out to expose the “scandal” of cheap Yorkshire boarding schools. 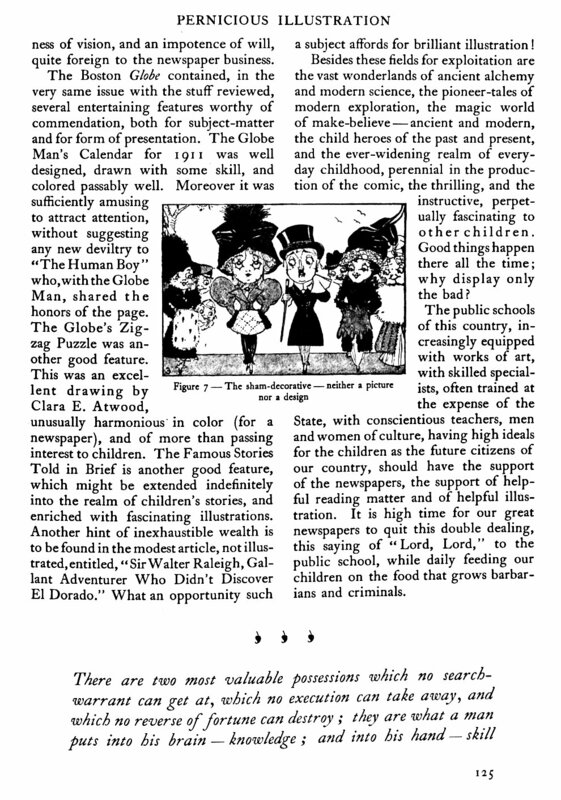 Controversy over the accuracy and fairness of Dickens’s claims about these schools, as portrayed by Dotheboys Hall and its tyrannical master, Wackford Squeers, has raged ever since. 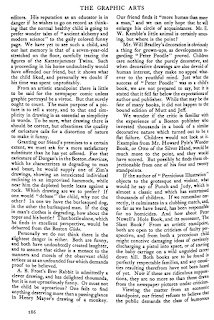 Most attention has been focused on the supposed model for Dotheboys Hall, Bowes Academy in what was then the North Riding of Yorkshire, and its proprietor William Shaw. 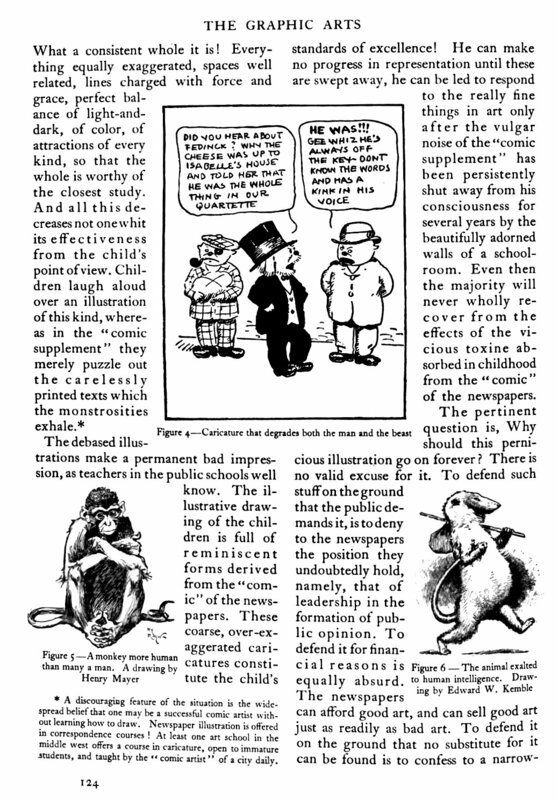 This has left many other aspects of the controversy under-explored. 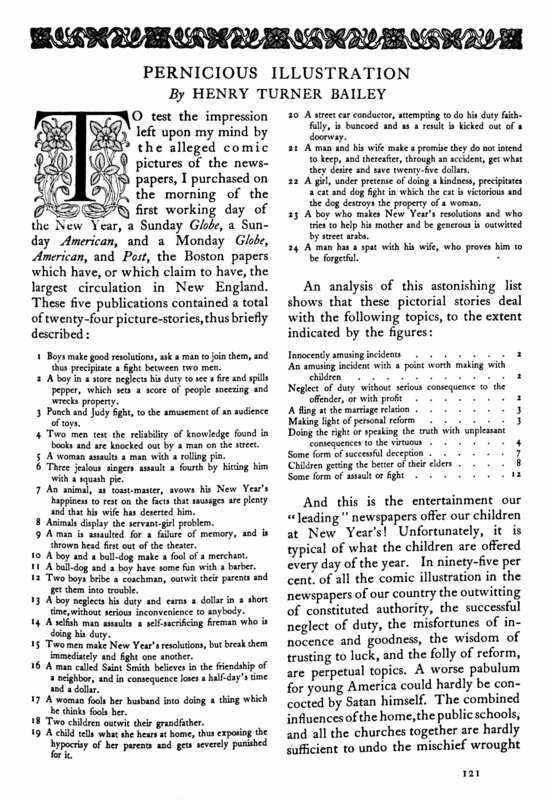 Dickens and his supporters, and many critics, made claims about the schools and the effect that Nicholas Nickleby had on them which can now be shown to have been wildly inaccurate. 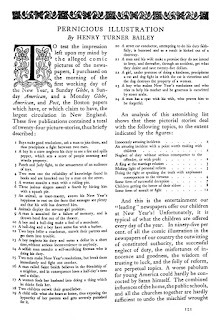 This book sets out to explore these myths, to present a comprehensive history of the Yorkshire schools (in particular told through their advertisements), and to collect all the previously-published accounts of life at these schools — those that appeared before 1838 and those that appeared afterwards — bringing them all together for the first time. 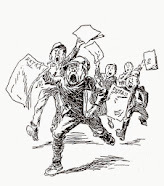 It is hoped that, by presenting all the evidence in one place, a full and balanced picture of the Yorkshire schools will help differentiate between the facts and the fiction.